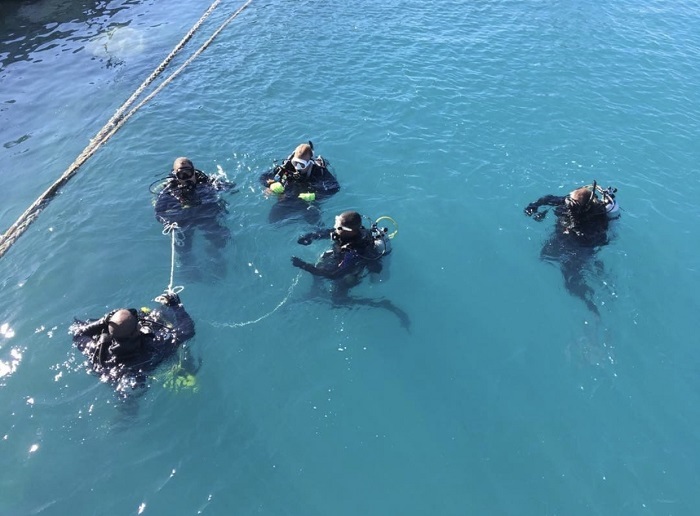 A total of five divers from the Royal Bermuda Regiment and the Bermuda Police Service have completed a week-long evidence recovery and search and rescue course. 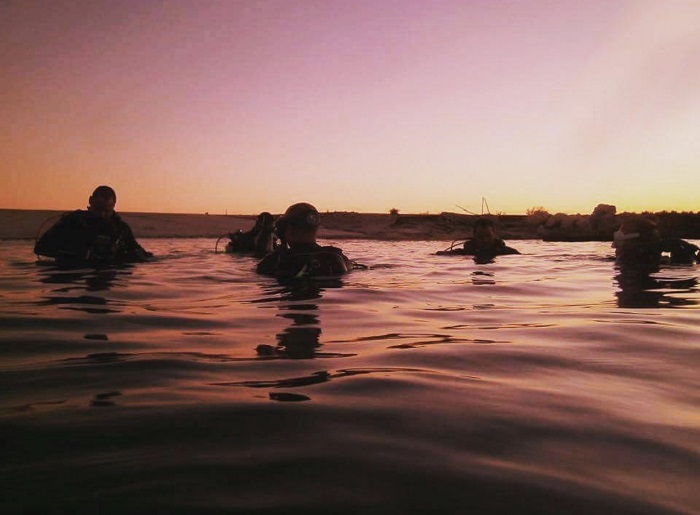 The group – two police officers and three soldiers – qualified in the National Association of Police Divers [NAPD] course, designed to prepare personnel for work in difficult conditions. PCs Hugo Benzinger and Richard Marriott line up with Lt Alex Gibbs, Corporals Michael Furtz and Satyrah Robinson, L/Cpl Nathan Frick and RBR Commanding Officer Lt/Col David Curley. He added that the Bermuda Police Service already has a diving team, but the US-based NAPD programme was different from the course they qualified in, so including police officers was a good way to foster closer relationships. He added that the RBR’s growing diving capability gave it another string to its bow – and increased its public service role. Lt Gibbs, who will take over as Aide-de-Camp to the Governor this month, said, “It’s beneficial to the long term goals of taking people from the Regiment who may never have been diving before and getting them all the way to rescue level and public safety diver. Lt Gibbs, already an experienced diver, served as a rescue swimmer for the 2017 America’s Cup races alongside other RBR divers and also worked in a safety role at the ITU World Triathlon competition last year. 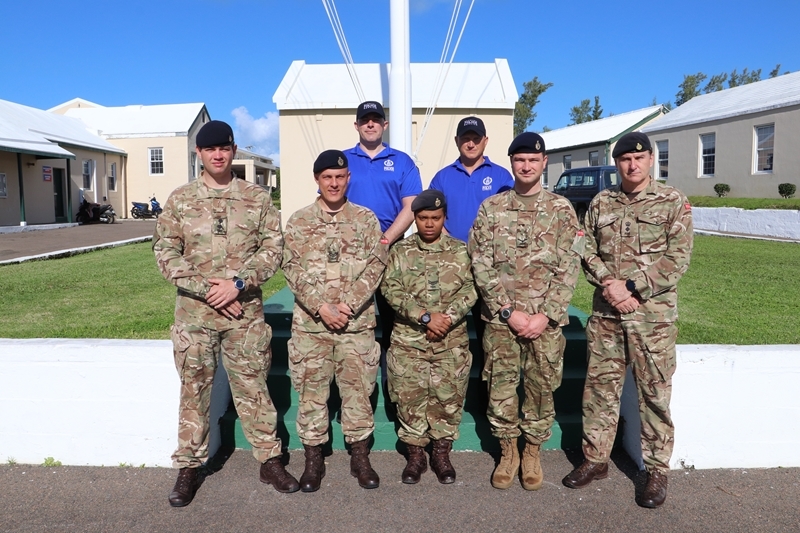 Lt Gibbs, Corporals Michael Furtz and Satyrah Robinson, Lance Corporal Nathan Frick and Colonel Curley joined PCs Hugo Benzinger and Richard Marriott for the course, which finished at the weekend. He added, “As the RBR looks at the strategic review, redefining our role and bolstering our assistance to the civil authorities, diving definitely falls under that remit.